The Veterans Service Office of Dane County consists of 6 employees and is proud to be VA accredited through several nationally recognized veterans service organizations. 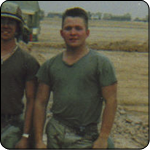 Dan served in the United States Army from July 1988 to July 1991. After basic training and AIT, he was stationed in South Korea (Camp Ames) for one year before heading to Fort Knox, Kentucky. Dan spent six months in the Middle East during Operation Desert Shield/Desert Storm, working in support of the 1st Cavalry Division out of Fort Hood, Texas. 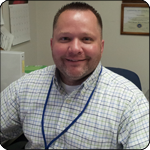 He joined the staff of the Veterans Service Office in May 2006, after over 6 years with the Dane County Juvenile Court Program. 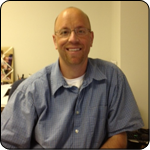 Dan has a Bachelor’s Degree in Psychology from Upper Iowa University. Dan enjoys following local sports and he has been a high school football official since 1998. He lives in Oregon with his wife, Melinda, and his three boys, Bailey, Kieran, and Riley. Lisa joined the Veterans Service Office after retiring from the Army in June 2013. A retired Army officer, Lisa's military career included a 10-month deployment to Bosnia, and Foreign Area Officer (FAO) assignments to Estonia, Mongolia, and Germany. Lisa earned her Bachelor’s Degree from UW-Madison and Master’s Degrees from Harvard and the Naval War College. Lisa enjoys endurance hiking and running events and is having fun getting reacquainted with Madison-area parks and trails. She lives in Middleton with her husband, Mike, and her daughter, Cassie. Tom joined the Veterans Service Office as an Assistant Veterans Service Officer in April 2010. He is retired from the Wisconsin Army National Guard, including 4 years in the active Army and over 12 years of civil service with Department of Military Affairs. 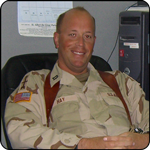 Tom's military career included deployments for Operation Desert Shield/Desert Storm and Operation Iraqi Freedom, as well as active duty for the Kentucky Ice Storm in February 2009. He spent half his career as an enlisted soldier and the other half as a commissioned officer, retiring as a Captain. Tom has a Bachelor's Degree in Business Management and Communications from Condordia University and an MBA from Touro University. Outside of work, he enjoys watching sports, especially the Packers, Brewers, Bucks, and Badgers. Tom is married to Lisa and the two of them have a son, Brennan. Bridgette joined the Veterans Service Office in January 2015. She was enlisted in the United States Army and served as a Combat Medic. Her service included deployments to the Republic of Haiti in 1994 during Operation Uphold Democracy and various desert deployments to Cairo, Egypt. As a medic, Bridgette worked in field, hospital, and clinic environments. After service in the Army, Bridgette attended Columbus State University and earned a Bachelor’s Degree in Computer Information Technology/Information Systems. She enjoys reading, writing short plays, and is an active member of PEO, a philanthropic organization to promote the advancement of women through education. Bridgette is married to Jesse who is an avid photography enthusiast and she is a proud mom of daughter Victoria.